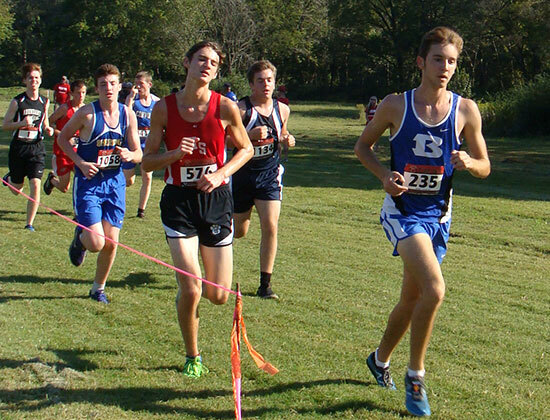 The Bryant Hornets endured warm and humid conditions to earn a runner-up finish at their home meet, the Danny Westbrook Bryant Hornet Invitational, held Saturday at Bishop Park. Bryant’s score of 71 was second only to Conway (43). A total of 22 teams and 266 runners completed the 5k (3.1 mile) course. 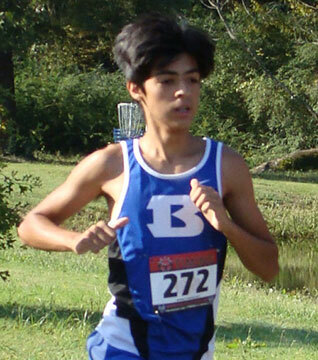 Chris Barrientos was the first Hornet across the line, placing second in a season-best time of 16:26. The rest of the Hornet top seven were Bresner Austin (6th in 17:08), Hagan Austin (11th in 17:45), Ammon Henderson (20th in 18:06), Blake Shields (32nd in 18:42), Christian Brack (33rd in 18:47), and Gabe Macchi (43rd in 19:11). “I’m very happy with how we handled the heat this morning,” said Hornets coach Steve Oury. “We had some guys struggle, but every team did. Chris wasn’t feeling his best, but he hung in there. Bresner and Hagan both ran very well, and Ammon set a nice personal record. 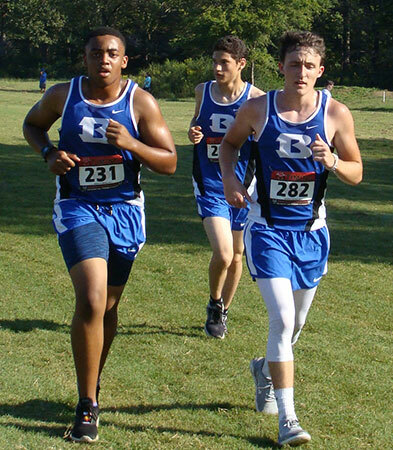 “While we closed the gap on Conway from previous races, we still have some work to do if we are going to challenge them at the conference meet on October 22nd,” The coach noted. 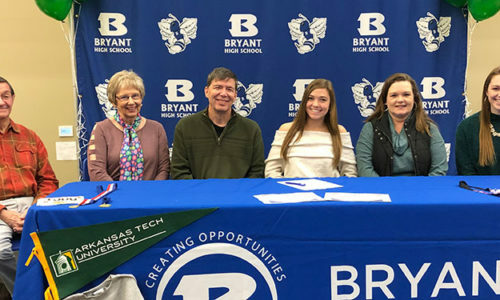 It was the first time Bryant’s home meet has been named for the longtime Bryant coach. Westbrook retired in 2016. 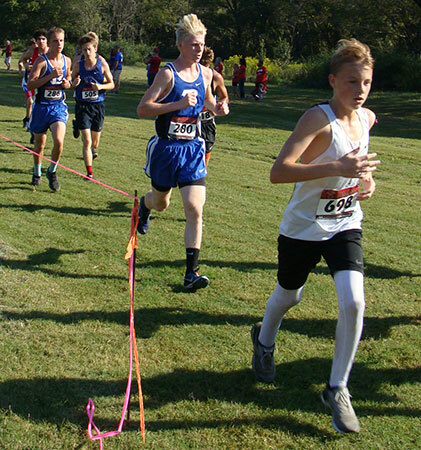 The Bryant Junior Hornets picked up their first victory of the season, winning the junior high division of the Danny Westbrook Bryant Hornet Invitational. The Junior Hornets scored a total of 36 points, placing ahead of 18 other teams. Cabot (48 points) earned runner-up honors. Chris Herrera paced the Junior Hornets with a second place finish in a time of 10:50. The remainder of the Bryant top seven were Drew MacIntire (6th in 11:37), Jaxon Holt (7th in 11:38), George Terry (9th in 11:46), Christian Hernandez (12th in 11:46), Cam Apel (16th in 11:52), and Aidan Russell (27th in 12:15). “It was great to finish the day with a victory,” Oury related. 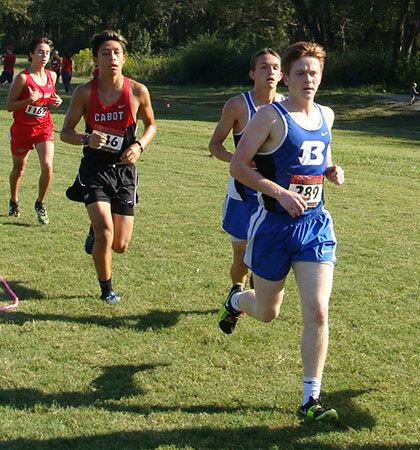 “Chris Herrera battled a runner from Cabot and gave a great effort. Drew MacIntire really ran well, and Jaxon Holt ran his best race of the season, as did Christian Hernandez. Eighth grader George Terry was his usual steady self. “The heat didn’t seem to bother our guys, which was great to see,” he noted. Bryant is scheduled to run at the Conway Invitational at Lake Beaverfork in their final regular-season meet next Saturday. 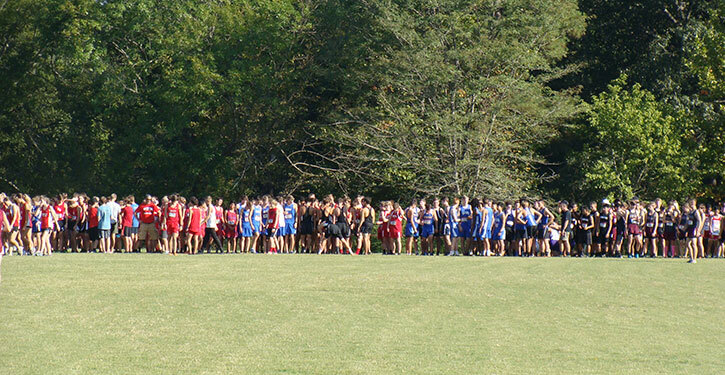 The Conference meet will be held at Bishop Park on Monday, Oct. 22.